Contributions by Prof Mazisi Kunene on the oral tradition, Cathy Coates on printmaking and mural painting, Jannie van Heerden on Zulu basket weaving, Nana Mthinkulu on teaching with stories, Kelly Oates on drama, Sally Clark on visual arts, Pedro Espi-Sanchis and Steve Barnett on southern African music and Sue Hall on dance. This resource offers you, the educator, an introduction to African cultural expression and practical learning material for the classroom. It consists of a video/DVD and a richly illustrated, interactive written resource. 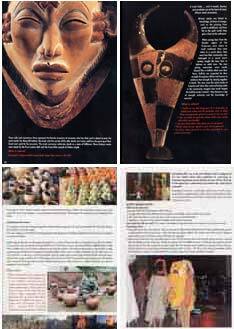 The 90 minute video/DVD is divided into four parts, which explore different aspects of African cultural expression. The written resource guides you as you articulate your own ideas on what culture is. Learning materials are provided for the classroom in all the arts – drama, music, visual arts, dance and storytelling - written by the established arts educators from South Africa’s vibrant NGO arts education sector. 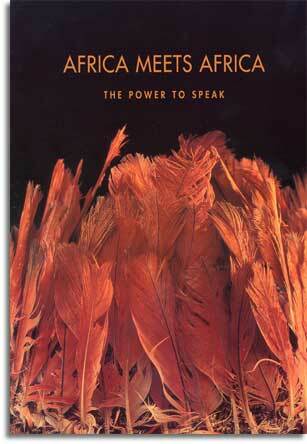 We also offer an introduction to the southern African oral tradition by esteemed poet professor Mazisi Kunene, and a collection of stories. This resource was designed for the GETC Phase, but arts and history educators in the FET Phase have found it equally useful.